1. A Poké Ball case so you can catch your lunch like a true Poké trainer should. 2. A polar bear bag that’ll keep all your lunch items Arctic cool. Get it from Amazon for $8.59. 3. A insulated Emergency Meal Transport bag, which just may freak out your crew a bit. 4. A gorgeous polka dot tote to make bringing your lunch so darn luxurious. 5. 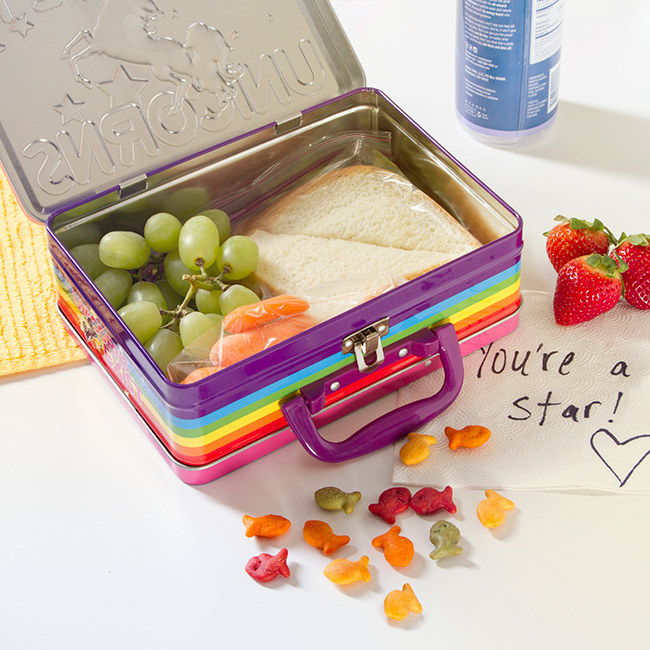 A Joe Cool lunch box made for confirming who's really the coolest in school — or at work. Get it from Nordstrom for $9.59. 6. A stylish holographic lunch bag that looks more like a purse than a place to hold your food. Get it from Asos for $35. 7. A magical neoprene galaxy lunch bag and water bottle tote set to give your meals an intergalactic upgrade. 8. 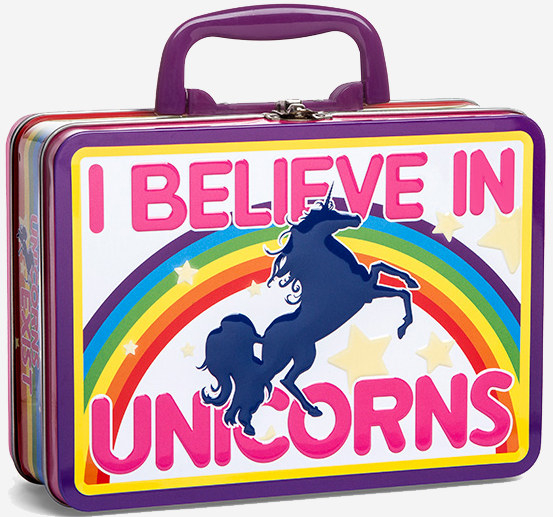 A marvelous unicorn lunch tin so you can show off how much you believe in the magical creatures. 9. An amazing cat lunch bag for the purrrfect addition to your back-to-school fashions. Get it from Nordstrom for $15 (available in three animal styles). 10. A camo lunch bag so you’ll be able to blend in with the woods, even while chewing down on some grub. 11. An epic Star Wars lunch box to keep your meal protected with all of the FORCE. 12. A delectable macaron roll-top lunch bag that’ll have you salivating before you even pull out your own meal. Get it from Nordstrom for $18. 13. 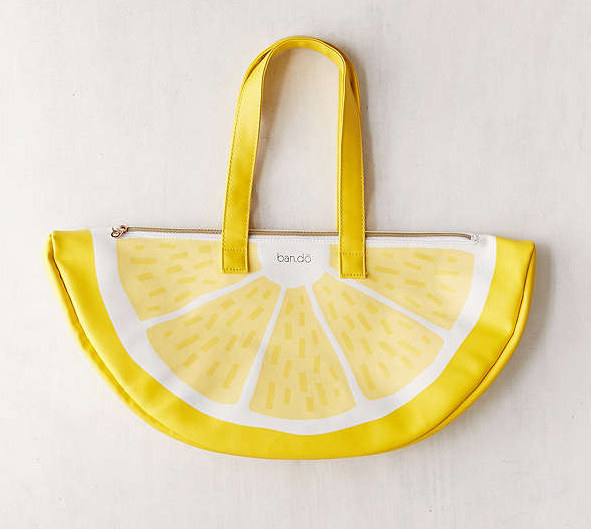 A sweet lemon cooler bag for a vibrant lunch tote you can’t ignore. 14. A precious smiley face lunch bag to let your friends know how happy you are it's lunch time. Get it from Asos for $27. 15. An adorable Hester Hippo sack, which will probably become your favorite lunch buddy. Get it from Built New York for $14.99 (available in three animal styles). 16. A darling watermelon bag ideal for proving your lunch is healthy inside and out. Get it from Asos for $11.50. 17. A trippy glow-in-the-dark monster tooth lunch box too cute to frighten anyone. Get it from J. Crew for $34.50. 18. A pretty freezable lunch bag with a delicate flower print that looks like art. Get it from Built NY for $19.99 (available in four prints). 19. 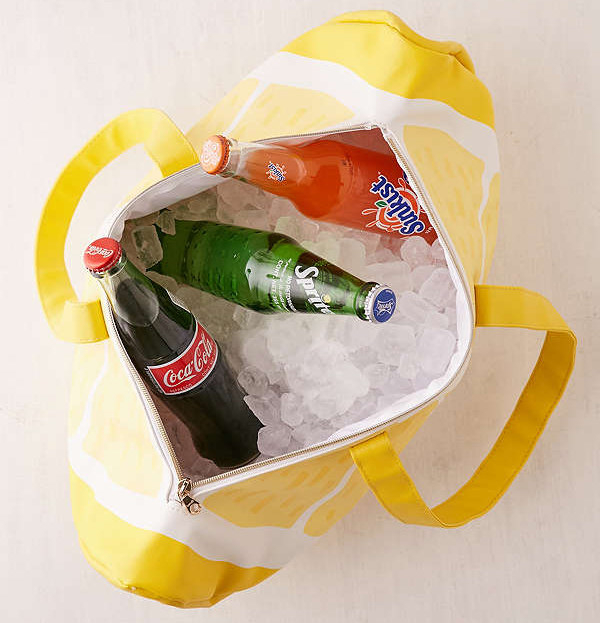 An insulated cooler bag to keep your food chill while reminding you to do the same. 20. A spacious clear lunch bag for those days you want to show off just how tasty your meal is. Get it from Amazon for $13.59 (available in two colors). 21. A lovely blooming flowers tote you'll be tempted to sniff. Get it from PBteen for $18. 22. A precious lunch backpack so your favorite little one can easily tote their meal form one location to the next. Get it from Built NY for $19.99 (available in four animal prints). 23. A retro Star Trek lunch box for a throwback to the Gold Key Star Trek comics from the ‘60s. Get it from Think Geek for $14.99. 24. A horrifying It tin tote that may not be as frightening as the lunch inside. Get it from Amazon for $21.25. 25. A minimal lunch sack to let your inner feline meow through. 26. A Game of Thrones shield backpack you can use to carry your lunch while dramatically showing your love for House Stark. Get it from Think Geek for $69.99.